What is Local Loop Unbundled Broadband? Local Loop Unbundled Broadband explained. Everything you need to know about LLU Broadband & how it could benefit you. 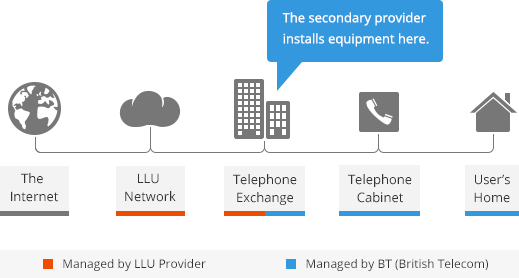 LLU or Local Loop Unbundling is the process in which a secondary provider installs their own equipment into the local telephone exchange and rent the 'Local Loop' (the wires and other equipment which connects your home to your local exchange) from the network owner (which in the UK is BT). Some ISPs provide broadband, line rental and calls bundled together, this is known as LLU MPF (Metallic Path Facility). Other ISPs offer broadband on an existing PSTN (Public Switched Telephone Line) line, whereby the line rental and call charges are paid to a another company. This is known as LLU SMPF (Shared Metallic Path Facilities). The unbundling process allows secondary providers to sell their own internet services direct to the consumer as well as to other ISPs like us here at Freeola.com, allowing us to construct some of the best UK broadband packages and provide them to you at our discounted prices - a bit like our Unlimited Broadband package! Why was Local Loop Unbundling introduced? Local Loop Unbundling was introduced to create and foster competition within the telecommunication market as well as to prevent the network owner (BT) from further extending their strong position in the industry. Local loop unbundled broadband is not available in all exchanges, only those where suppliers (such as Sky or TalkTalk) have chosen to install their equipment. The exchanges which ISPs tend to install their own equipment in are usually those with larger local populations. The Freeola Unlimited Broadband package can be provided to approximately 95% of UK Properties. What is the difference between LLU and ADSL / ADSL2+? Local Loop Unbundling and ADSL describe different aspects of broadband provision. Where as ADSL is a sort of technology (the transmission of a fast broadband signal over copper telephone lines), LLU is not actually a type of technology, it actually describes the de-regulation of the former BT exchange network making it available to other providers. LLU broadband is generally provisioned using ADSL2+ but can be downgraded to standard ADSL for increased stability. What are the advantages of LLU Broadband? LLU providers have considerably more control over their costs. Due to the initial investment plus the use of their own equipment, LLU broadband providers have much more flexibility on their prices and in turn offer better broadband deals to the end user. As LLU internet service providers use their own equipment, as opposed to re-selling the network owner's wholesale services, they are able to provide faster speeds. Plus, due to the competitive nature of ISPs offering LLU services, broadband deals often come packaged with additional features, freebies and services. Find out more about our incredible £12 back hosting offer you get with Freeola Unlimited LLU Broadband. Just remember that advertised speeds vary considerably from headline speeds due to a range of factors including the quality of your telephone line and the distance from your premises to the local phone exchange. For a realistic estimate of your expected speeds try our Freeola Broadband Speed & Availability Checker. Are there any disadvantages to Local Loop Unbundling? Apart from the fact that LLU is not available in all exchanges, there is only one minor disadvantage to LLU broadband which is: If you've already transfered ownership of your telephone exchange equipment AND telephone line to an LLU ADSL provider and decide to go back to a BT telephone line service then you could incur a new broadband connection charge. Please Note: This disadvantage refers to full LLU services (unbundled broadband and telephone line). We do not offer phone services and our LLU broadband does NOT require you to move your phone line to us. Will I need any special equipment for LLU Broadband? No, you won't require any special equipment, all the specialist equipment will be installed at your local telephone exchange by your LLU operator. Assuming you already have an ADSL router (perhaps from a previous broadband connection), and the required microfilters then you should be ready to go! Require ADSL equipment? Check out our ADSL Equipment Shop. Do I need to change my phone line to get LLU Broadband? No, some ISPs require that you move your phone line to them as well as your broadband line, but with our LLU Unlimited Broadband services you can keep your phone line with BT - no hassle, no fuss. How do I check if I'm on an LLU enabled exchange? You can use our Broadband Availability Checker - If the results say you're ready for our Unlimited Broadband, then you're on an LLU-enabled exchange. Alternatively, check your telephone line using one of the many free broadband line checkers which can be found online on broadband information sites such as Broadband Checker, SamKnows & Kits. Is it difficult or costly to move from LLU back to Non-LLU? As long as your existing broadband connection retains a BT phone line then migrating to another ISP should present no problems. If you wish to move to Non-LLU and are currently on a full LLU service (broadband and phone line) then you may incur a reconnection charge. As our Unlimited Broadband does not require you to move your phone line from BT, migrations should be simple and straight-forward. For our main ADSL2+ broadband tariff - Freeola Unlimited Broadband - we utilise the TalkTalk broadband network, one of the largest LLU networks available. Our broadband packages offer our customers consistent speeds, reliable bandwidth availability and quality of service complete with unlimited access without the need to move their phone line from BT. Unlike most ISPs, we don't force you to switch your phone line rental over to us. 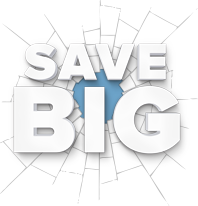 But if you fancy broadband-only line rental you can save over £108 per year with no contract tie in, compared to the UK's largest internet service provider.